It took a last-minute flurry of minor snow bursts but many of the Sierra ski resorts got their big wish – a Thanksgiving weekend opening. And with long-range forecasts promising off-and-on snow for December, along with temperatures dropping enough to make snow, it looks like the resorts will enjoy a white Christmas. Mt. Rose and Boreal actually opened a little earlier in mid-November. But turkey weekend was the season debut at Heavenly, Squaw Valley, Sugar Bowl, Northstar, Alpine Meadows and Kirkwood. As usual, Mammoth opened in early November. Initially, skiers and riders will not find all of their favorite lifts and runs open on their first visit. But more terrain and lifts will be opening all the time so be sure to check with your target resort as to how much of the mountain is open. Some resorts were luckier than others. Sugar Bowl, perched at the top of Donner Pass, opened with top-to-bottom skiing and riding. Mt. Rose, with the Tahoe region’s highest base elevation at 8,260 feet, had numerous runs open early. Some later season openings include Homewood on Dec. 9, June Mountain on Dec. 10 and Diamond Peak on Dec. 15. Thanks to the long drought the Sierra experienced in recent years, many resorts expanded snow-making networks. Squaw Valley and Alpine Meadows, now under the same ownership, spent $8 million on snow-making equipment over the last six years and then paid out another million to beef up snow-making even more for this season. Frequent snowfalls, early and late snow, well-timed storms, few highway shutdowns and pent-up demand from skiers and snowboarders added up to a blockbuster season for Sierra resorts in California and Nevada. 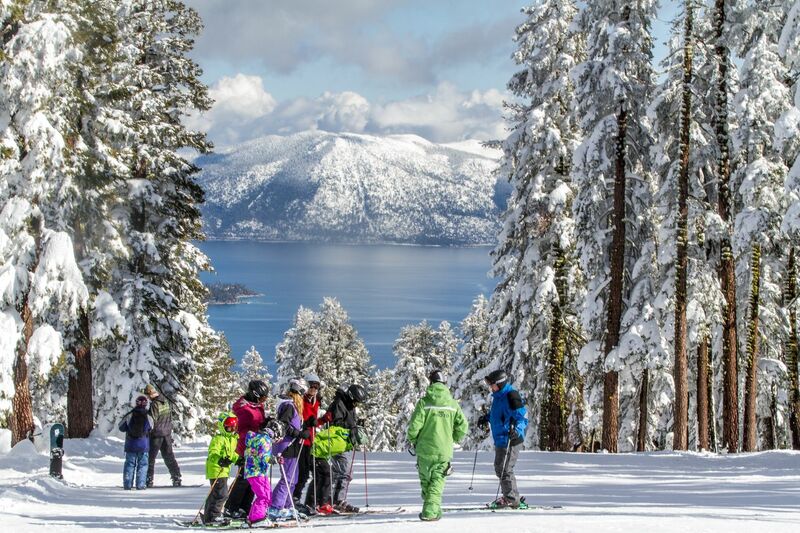 Most Sierra resorts do not reveal visitor numbers but the California Ski Industry Association predicts that this season will far surpass the long-term average of 6.5 million visits a year at the Sierra resorts. Association president Michael Reitzell said that the number so far this season is well past the 4.6 million visits recorded last year. “With a number of resorts open into May, we have a chance at a record year,” he said. The old record was set during the 2004-05 season when about 8.5 million visits were recorded by the resorts. Most of the resorts are closing around mid-April, but Mammoth, Squaw Valley, Alpine Meadows and Mt. Rose will be open into May. I was at Northstar in March and noticed that the coverage was amazing. By that time, it had snowed more than 400 inches; as of earlier today, the total exceeded 455 inches. So many riders and skiers had come to Mt. Rose by early April, officials there said that the resort had broken its visitor records. Similar comments came from Squaw Valley and Alpine Meadows, now under the same ownership. While much improved compared with recent years, Sierra resorts did not enjoy a huge snow season. Totals were pretty much close to what was average before 2010, when a multi-year span of skimpy snow seasons started. 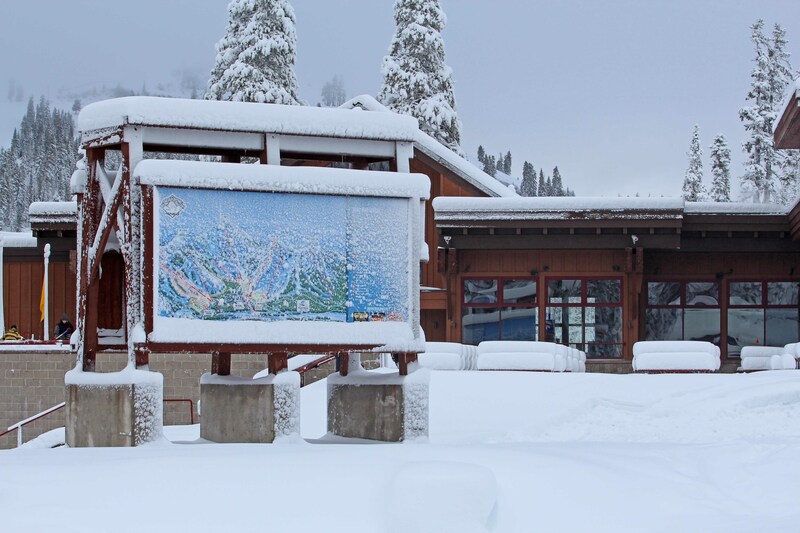 Kevin Cooper, senior communications manager for Heavenly and Kirkwood, explained that snow fell in perfect increments, arriving at a rate of 4 to 9 inches at a time. No storm dropped several feet at once, shutting everything down. 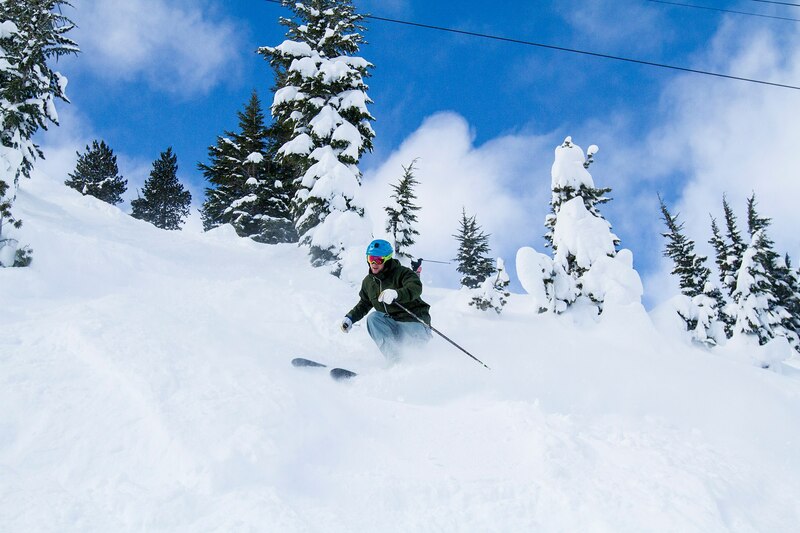 The resort caught some of the state’s best snow this winter. As of April 1, some 547 inches had fallen, exceeding the annual average of 500 inches. It was difficult to determine if this winter’s profitable season will result in capital improvements this summer. Most resorts reported that any plans about more lifts or runs had not been finalized. One spokesperson noted that a big source of spending at many resorts is making snow, but thanks to the generosity of Mother Nature, snow-making equipment was silent much of the season, which added to the bottom line at many resorts. 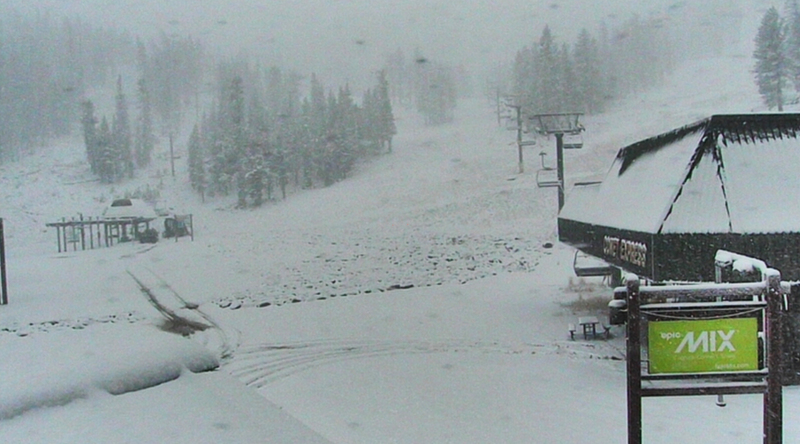 Ski and snowboard resorts in the Lake Tahoe area were greeted this morning by several inches of snow — with more on the way — thanks to the first winter storm of the 2015-16 season. Up to 7 inches of snow were forecast at the 7,000-foot level, which includes Echo and Donner summits, with a foot or more of fresh powder expected to blanket the mountains at 8,500 feet, according to the National Weather Service in Reno. Resort operators are noticeably upbeat. Several California resorts have announced opening days for the upcoming season, including Mammoth Mountain (Nov. 11), Heavenly and Northstar (Nov. 20), Kirkwood (Nov. 21) and Squaw Valley (Nov. 25). 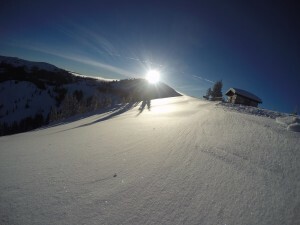 In addition, resorts are enticing skiers and snowboarders with lift and lodging deals. Among those is the Tahoe Local Pass, which offers access to the runs at Heavely, Northstar and Kirkwood for $519, a discounted price available through Nov. 22. Click here for information. We’ve been watching a lot of NBC’s Winter Olympics coverage – speed skating, slopestyle skiing, halfpipe, hockey – and have been wrapped up in much of it. The best U.S. match to the 3,205 vertical descent of the mountain where the Olympics competition is happening now is the Lake Placid/Whiteface Mountain Ski Resort – the area where the 1932 Winter Olympics took place. Heavenly Mountain Resort, Northstar California and Kirkwood Mountain Resort have received 5 to 8 feet of snow during the most recent winter storm at Lake Tahoe – which adds to a two-week accumulation total of more than 10 feet. The three resorts have a combined 173 trails via 39 lifts available for skiing and snowboarding. 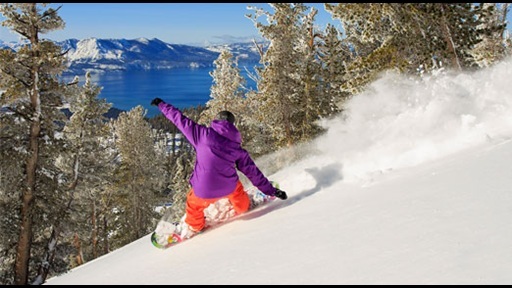 Newly opened signature runs – such as Wagon Wheel Bowl and Palisades at Kirkwood; Milky Way Bowl, Pinnacles and Ski Ways at Heavenly; and Challenger, Rail Splitter and Sierra Grande at Northstar – are among many trails now available to guests. Kirkwood anticipates opening 100% of the mountain – the first Tahoe resort to do so this winter. Heavenly aims to open some of its most popular terrain, including Mott Canyon and Galaxy. Northstar expects to offer 100 percent of its Backside trails. Combined, the resorts will offer more than 8,500 acres of skiable terrain starting this weekend. SOUTH LAKE TAHOE — These are the unlikely saviors in the lofty peaks of the serene Sierra: high-tech snow machines, roaring like jets and spewing million-dollar crystals. 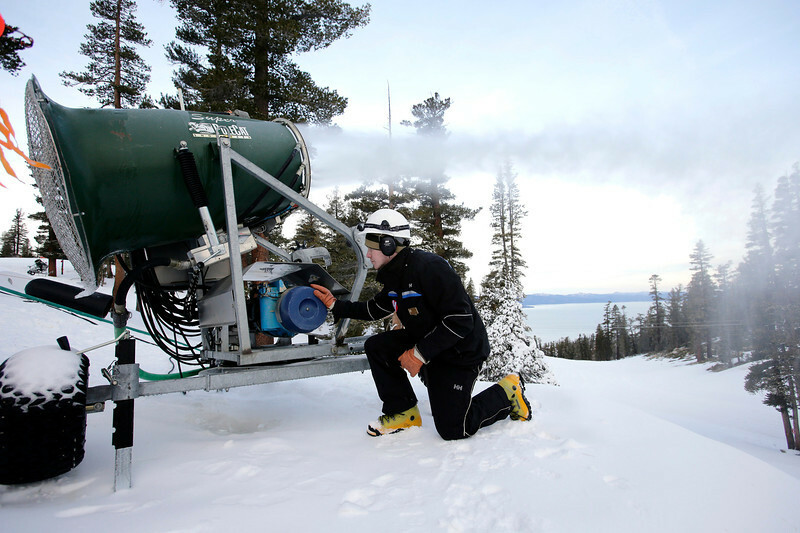 “If it wasn’t for snow making, we probably wouldn’t be open,” said Barrett Burghard, head snow maker at Heavenly Ski Resort, who is propping up the beleaguered mountain economy with his vast computer-driven complex of snow guns, pumps, compressors, pipes, hydrants, nozzles and miles of hoses. Mother Nature, always fickle, has been especially cruel this drought year to the resorts and mountain communities that depend on snow for their economic survival. Instead of fluffy powder, there’s just granite, mud and manzanita. So Burghard and other snow makers are fabricating winter where it isn’t. As the eastern sky turns pink with dawn’s rising sun, his 165-gun system performs alchemy, mixing massive drafts of water, air and electricity to prepare 14 miles of bare ski runs for thousands of visitors. Every night, snowcat crews push piles of the precious product back up the slopes. Innovations in technology — such as the $40,000 Super PoleCat, with a built-in automated weather station that alters man-made snow characteristics — make it possible to produce an acre of thigh-deep snow in an hour. That’s enough to blanket a football field with snow 8 feet deep during a three-hour game. In this dry and balmy winter, the small, historic and family-owned resorts without extensive snow making — such as Donner Ski Ranch or Dodge Ridge — haven’t opened, costing jobs and starving local businesses. The National Winter Trail Days event at Tahoe Donner Cross Country Ski and Snowshoe Center was canceled. But big corporations running Heavenly, Northstar, Kirkwood, Squaw Valley, Alpine Meadows and Mammoth Mountain have made major investments in snow-making tools. Squaw Valley alone has spent $5.2 million since 2012. This month virtually all of the snow at the resorts came out of machines. The goal is to survive not just dry years, but what could be a parched future. “The larger resorts have the capital resources to do extensive snow making,” said Bob Roberts of the California Ski Industry Association. Vail Resorts’ Epic Pass now includes 26 mountains in four countries, and the company is calling all globetrotting, Epic Pass-holding, die-hard skiers and snowboarders for The Epic Race – a season-long competition to visit each resort this winter. The first 10 people to complete the race will receive an Epic Pass for life. Starting Nov. 1, guests can register to ski the world by visiting www.snow.com/epic-pass/info/epic-race.aspx. Each racer will need to ski or ride all 26 resorts on the Epic Pass (Vail, Beaver Creek, Breckenridge, Keystone, Arapahoe Basin and Eldora in Colorado; Canyons in Park City, Utah; Heavenly, Northstar and Kirkwood at Lake Tahoe; Afton Alps, Minnesota; Mt. Brighton, Michigan; Verbier, Switzerland; Arlberg, Austria – St. Anton, Lech, Zürs, St. Christoph and Stuben; and Les 3 Vallées, France – Courchevel, La Tania, Méribel, Brides-les-Bains, Les Menuires, Saint Martin de Belleville, Val Thorens and Orelle). Epic Racers will be asked to document and share their experience at each resort they visit to be eligible to win. Epic Racers will be responsible for their own expenses in undertaking the Epic Race and no racer will be permitted to ski or ride more than one resort per day in the U.S. and two resorts per day in Europe to ensure they capture and enjoy the full experience of each mountain. Race winners receiving an Epic Pass for life will be able to ski or ride only the resorts operated by Vail Resorts in any given year. All rules and guidelines will be posted here on Nov. 1 and included in the registration materials provided to guests. Skier visits this season at Vail Resorts Inc.’s seven resorts in California and Colorado and have risen 5.5 percent from last season, with growth picking up through spring break and the Easter holiday, CEO Rob Katz said Monday. some season pass revenue, was up about 10 percent from the comparable period a year ago. Dining revenue was up about 13 percent, ski school revenue was up more than 11 percent, and retail and rental revenue was up almost 9 percent, the company said. Exact revenues and skier visit numbers weren’t released. The results were for the season through April 14 and didn’t take into account the reopening of Vail and Breckenridge resorts last Friday through Sunday for one more weekend of skiing and riding after both resorts got hammered with new snow. The results don’t include recently acquired Afton Alps in Minnesota and Mount Brighton in Michigan. Results were adjusted as if Vail Resorts had owned the newly acquired Kirkwood resort last winter too. Katz said season pass sales for next season are off to a strong start. He didn’t release details. Vail operates the Vail, Beaver Creek, Breckenridge and Keystone ski areas in Colorado; Heavenly, Northstar and Kirkwood in the Lake Tahoe area; Afton Alps in Minnesota; Mount Brighton in Michigan; and the Grand Teton Lodge Co. in Jackson Hole, Wyo. The Rahlves’ Banzai Tour will end where it all began more than 70 years ago — the Silver Belt gully at Sugar Bowl Resort. Some of the best skiers and snowboarders in the West will battle it out to cap off the four-stop skiing competition with a win at Sugar Bowl. The Rahlves’ Banzai Tour is described as “big mountain freeskiing meets skier/boardercross.” Competitors race in four-person heats over natural terrain in a contest of pure skiing speed. Previous stops include Kirkwood Mountain Resort, Alpine Meadows and Squaw Valley USA. The Rahlves’ Banzai dates back to the famed Silver Belt downhill race, which began at Sugar Bowl in 1940 and was considered one of North America’s premier ski races, attracting elite skiers from across the nation. Daron Rahlves — Olympian, X Games gold medalist, one of the most decorated downhill skiers in U.S. history, and freesking film star — helped reshape the race into the four-resort circuit that it is today. Although he does not compete in the other three stops of the tour, he will take on the ski winners of all four tour stops in a one-time, winner-takes-all, $10,000 cash prize Super Final at Sugar Bowl on Sunday. The Swatch Freeride World Tour by The North Face, featuring some of the best skiers and snowboarders on the planet, comes to Kirkwood Mountain Resort next week. Kirkwood’s big mountain venue, The Cirque, is comprised of exposed, steep and raw terrain, which is permanently closed to the general public, allowing for a unique and exciting North American freeride venue. Athletes are set to arrive on Monday, and the opening ceremonies will be Tuesday. 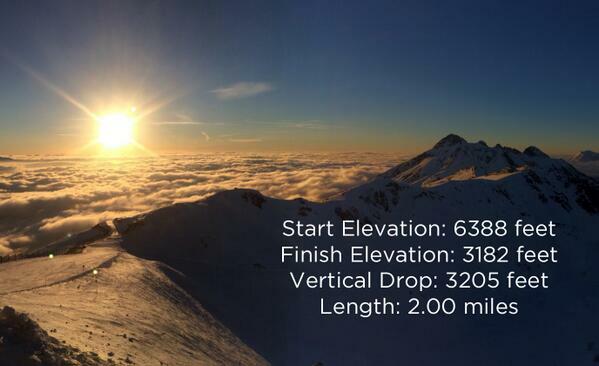 The first day of FWT competition is scheduled for Wednesday, with a weather window extending to Sunday, March 3. Kirkwood will be the fourth stop on the tour, which started with 36 male skiers, 14 male snowboarders, 14 female skiers and seven female snowboarders. The 2013 FWT features five stops for male skiers and snowboarders, and four stops for female skiers and snowboarders before a cut will be made for the Swatch Xtreme Verbier in Switzerland. After the fifth stop in Fieberbrunn, Austria, the top three results out of five events for men and the top three results out of four events for women will be used to qualify riders for Verbier and the 2014 FWT. Next week’s tour stop will be a homecoming for Lake Tahoe’s Josh Daiek, the 2012 Subaru Freeskiing World Tour champion.